New, improved device for holding vertical piano lids open while tuning or servicing the piano. Prevents marring of customer's wall. Made from formed brass with the outside of the lid prop covered with felt. 5" long. Felt color can vary. 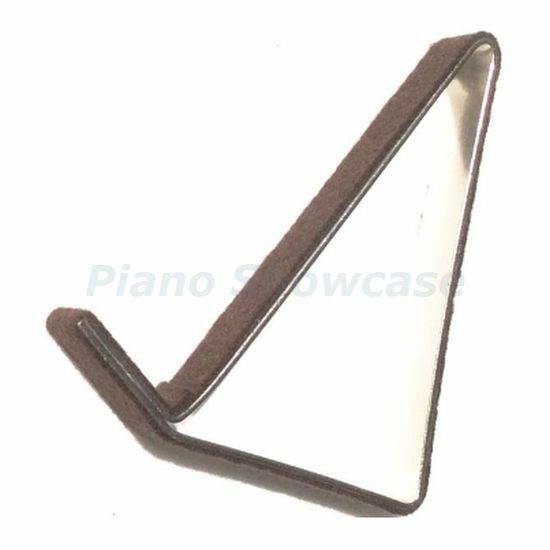 For most vertical piano lids this Lid Prop will work, but one quickly learns that its non-adjustability doesn't work for spinets with large lids. A large spinet lid connected to the front panel and music desk will still need to be held back further away from the piano for the tuning hammer to fit inside. In that case, this Lid Prop will not suffice.